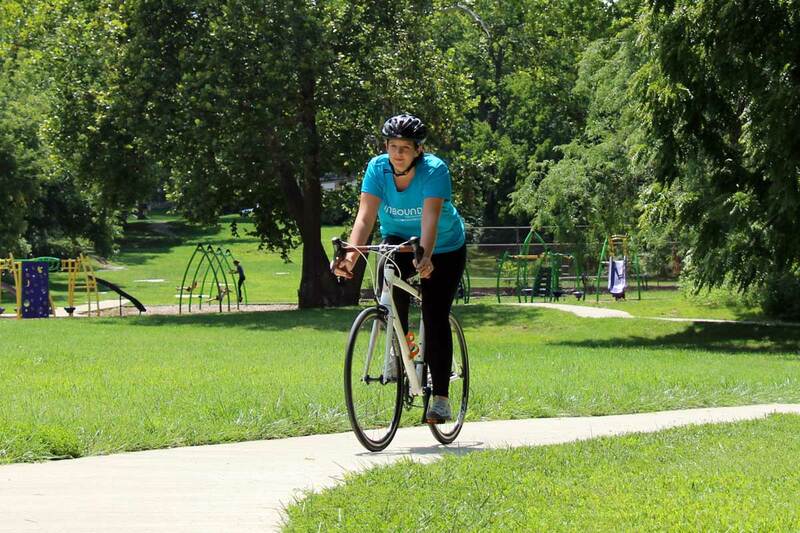 Jessica Wooden wears her Trailblazer shirt while biking in a Kansas City park. I still remember Christmas of 1998, when I was 5 years old. I came into the living room of my grandparents’ house and there it was. A new bike. The handlebars had a foam cover, adorned with grapes. The paint was a shimmering purple. It was beautiful and, more than anything, it was mine. Riding a bike. I have to admit that the thought of doing this again as I got older scared me at first. The fearless 5-year-old who would get right back up after she had fallen had somehow left me. Regardless, I did try riding again, and it now means so much more to me than it ever did before. I started biking pretty regularly my freshman year of college, mostly as a way to sleep in a few more minutes and still make it to class on time. But at that stage of my life, I wasn’t giving enough thought to mindset while I exercised. I wasn’t paying attention to how my body moved, how it felt. For me, it was simply a means to an end, instead of a passion. Recently, however, I’ve discovered road biking. I use this time to refocus my stress, plan out my week and set intentions for myself. I pay attention to my body in these times, the growth that I’m experiencing both mentally and physically. And when the time comes, all thoughts leave me, and I take in the freeness of going down a hill, leaning forward toward my handlebars to go faster and faster. In these moments, I don’t think about stress. In these moments, that little girl with the purple grape bike has found me again. She laughs, feet leaving the pedals and stretching out wide. I smile at the memory and somehow find my cadence again for the next hill. When I ride, I also think of the families that Unbound serves. I think about the impact that more cyclists could have on our world. I was happy to know that it didn’t take signing up for a race to be an Unbound Trailblazer. Just wearing your Trailblazers’ shirt at a local group ride is a great way to start the conversation with others. I am training for my first cycling event, but that is just the next step in many discussions I’ve had about Unbound with fellow cyclists. Cycling as a Trailblazer is a great way for me to do something that I love while I connect with families in need all over the world. You don’t have to be an expert cyclist to blaze trails. 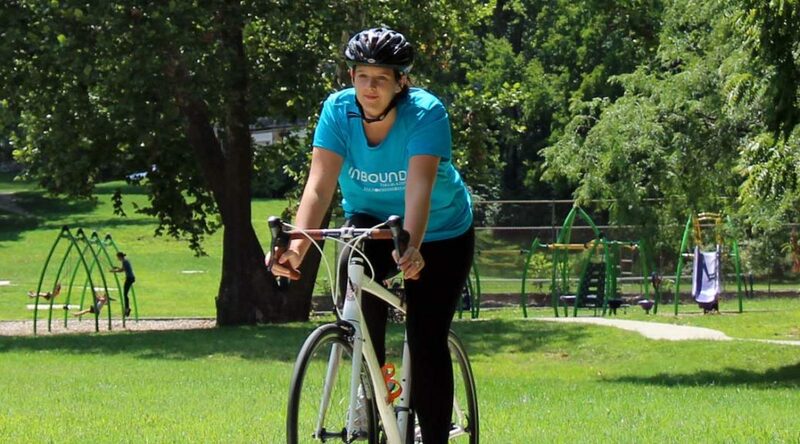 If you’re looking for a great way to spread the word about Unbound and get a low impact workout, I encourage you to embrace your inner child, represent Unbound and try cycling. Visit unbound.org/trailblazers to learn more.